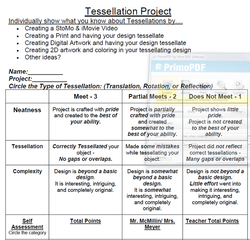 Students will choose from a list projects to showcase what they have learned in math and art about Tessellations. 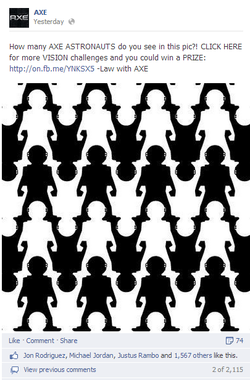 The image to the left is from AXE's Apollo line. It shows how Tessellations are everywhere. Special Thanks to Greyson for sharing this with the class. 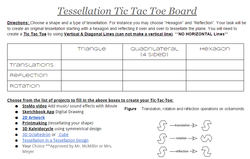 Click on the image to download the Tessellation Project Rubric. 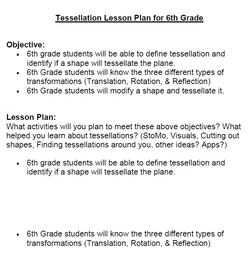 Click on the image to download the Lesson Plan for the 6th graders. 2012-2013 Students shared their final tessellations projects & taught the students about a type of tessellations. 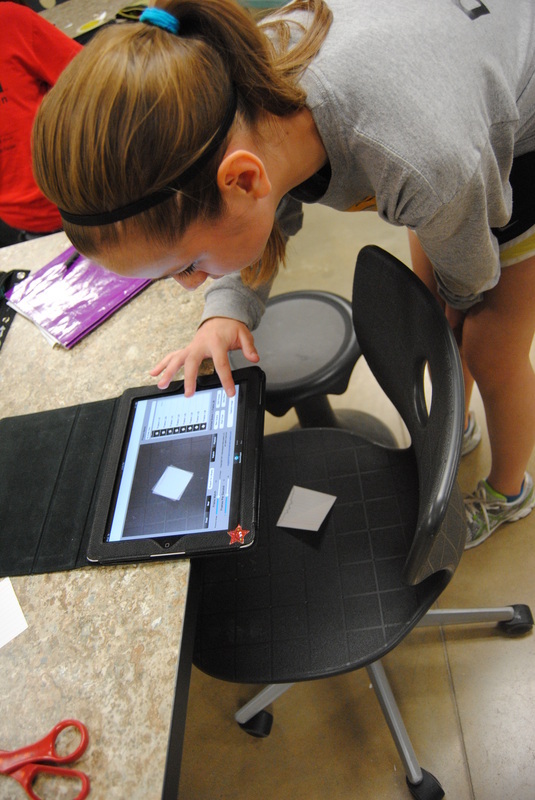 Students then filled out a Google Form by scanning a QR code to give their 8th grade buddy feedback on their tessellation projects. 2011-2012 Students went to share their final tessellations projects with Mrs. Bailey's Math classes as they started their tessellation unit.